Have You Heard The Buskers Of Park Street Play Yet? Plenty has been written about Park Street's iconic eateries to bookstores, pubs, night clubs, gift shops and boutiques. There are of course fabulous things to do besides going hic-hic here, and listening to the buskers could be just one of them. If you're thinking we're still nursing the Christmas carnival hangover, then you can't be far from being right. Park Street has its own regular buskers and here are them that you must know of. Md Siraj has been hanging around Park Street for the last several years now. A flutist, you'll find him close to the main Park Street crossing on either pavements (outside Spencer's or near Barista). Standing with this towering bunch of flutes, you'll often catch him playing some old bollywood tune or sometimes even a more classical melody. A self-taught musician, you'll be left amazed at his flair, may be even inspired to take up this art. From low scale to higher up, you'll find a wide range of handcrafted flutes to pick from Md Siraj. Call Md Siraj at 9163584847 if you want to take classes. 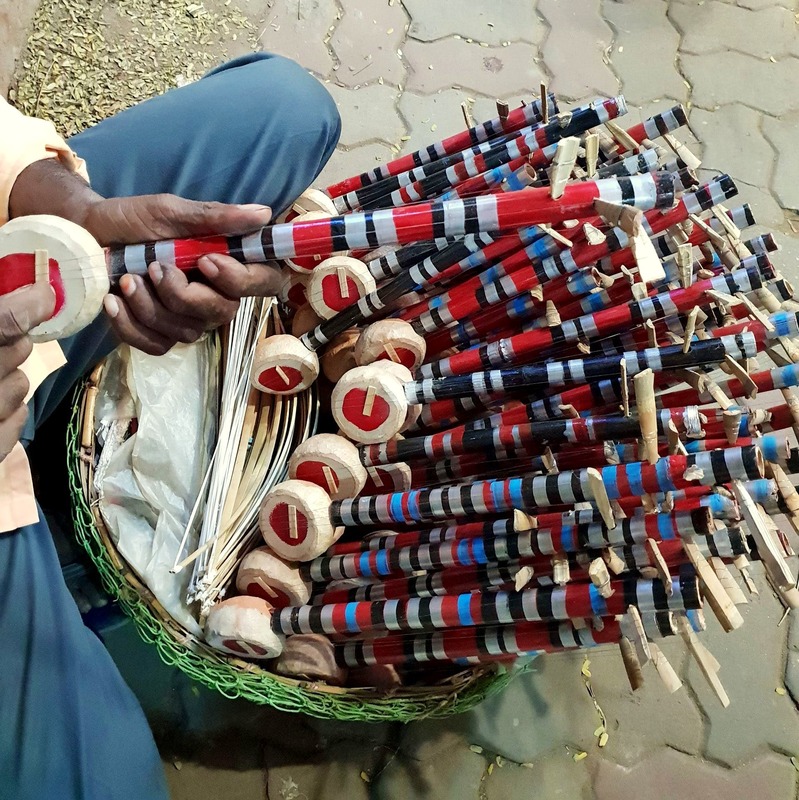 If you've got a curious ear, then you can definitely catch the sweet tune of sarangi over the din of bustling traffic and busy conversation. Follow the tune and you'll find Rehman playing his musical instrument outside Mumuso or Bar-B-Que. Sitting with a basket in his lap, Rehman sells hand made bamboo sarangi on the pavements of Park Street. Don't let his old clothes and heavy glasses deter you from having a conversation with him; he'll tell you how he learnt the art from his father and how his father picked up the skill to make sarangis from his grandfather. Rehman is available at 9875490168. Ibran stands with this tower of flutes just outside Flurys. Younger than the others you'll often hear him play recently popular songs on his flute. In fact, if you request, he'll also play a tune in a different scale. Another self-taught musician, Ibran is the only one here who's open to coaching people on playing the flute. Ask him, and he'll tell which flute to best pick, and if you've got the interest then you can request him for hourly classes to ace up the skill. Md Ibran is available at 8585092810. Friendly and always ready for a nice chat, do remember to reward these talented buskers after enjoying their music.